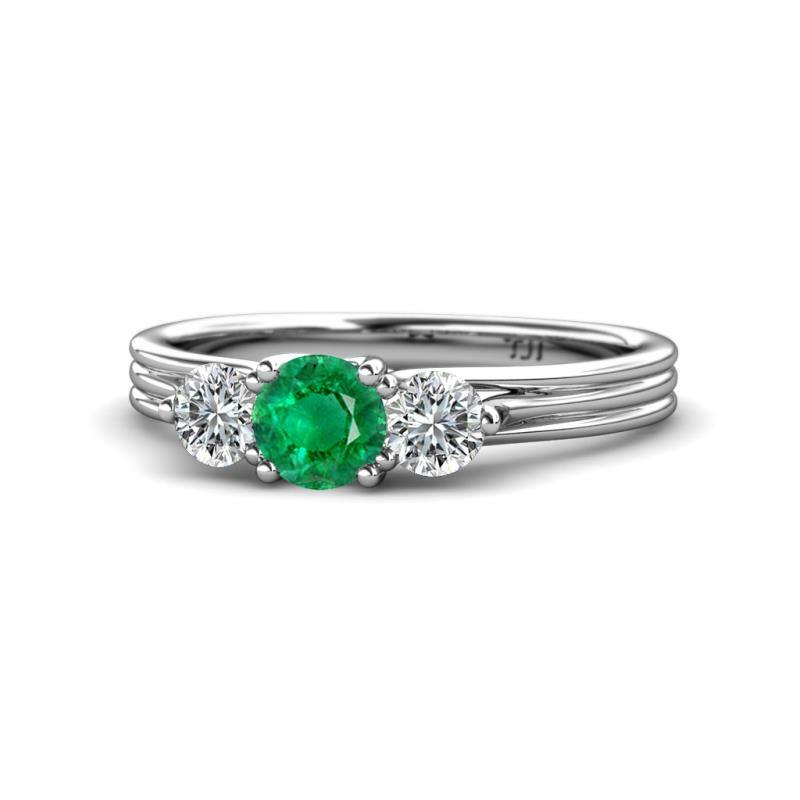 Show your Love with this Gorgeous 0.92 cttw Three Stone Ring featuring a Center Emerald flanked by White Diamond on either sides beautifully crafted in 18K White Gold representing your past, present & future together. 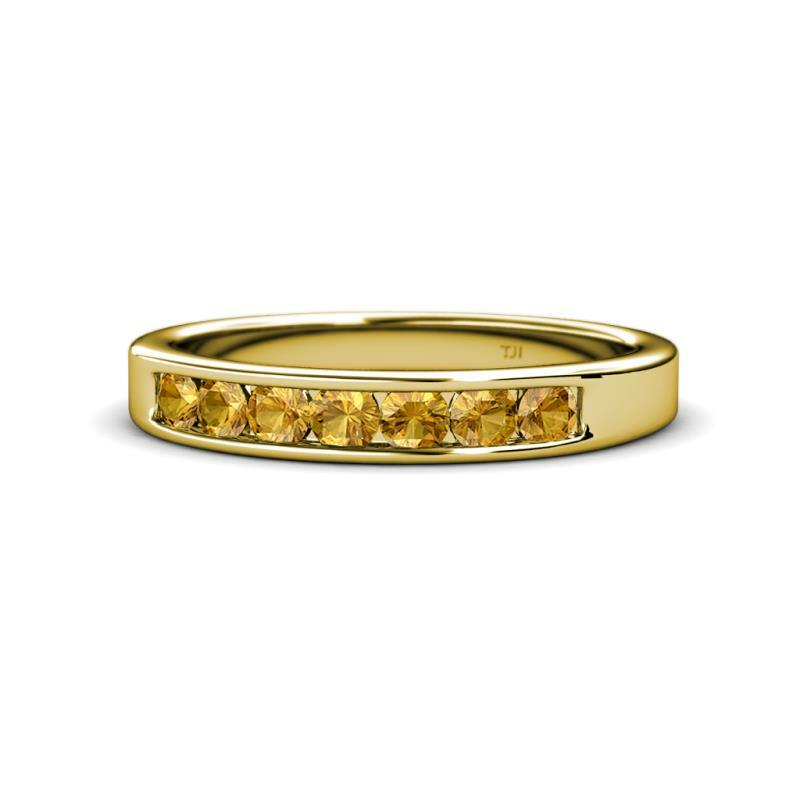 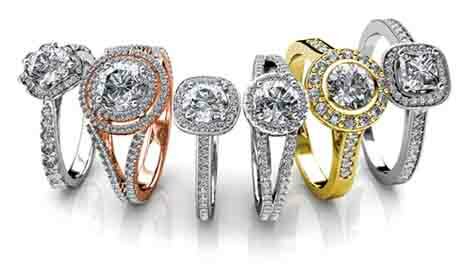 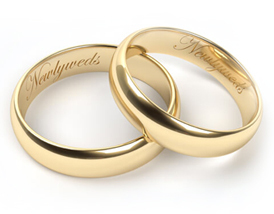 Get a perfect 7 Stone Wedding Band with Citrine embraced by channel setting to be an everlasting symbol of your love which can be cherished for the lifetime. 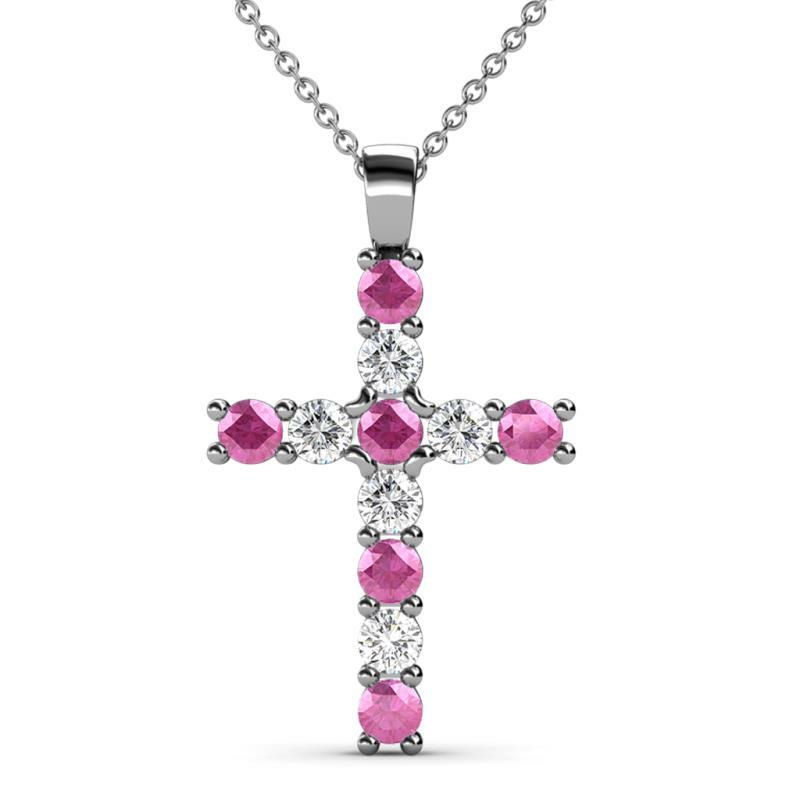 A Stunning 0.79 ct tw Cross Pendant mounted with Pink Sapphire and Diamond using Shared Prong Setting making your Religious Celebration extra-special that can be passed down through the Generations and truly Cherished. 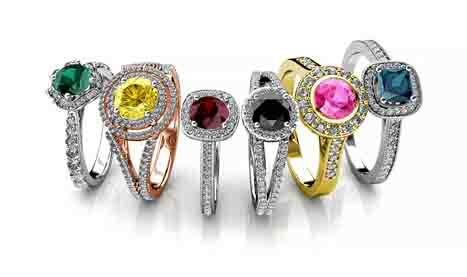 Get a perfect 7 Stone Wedding Band with Yellow Sapphire embraced by channel setting to be an everlasting symbol of your love which can be cherished for the lifetime. 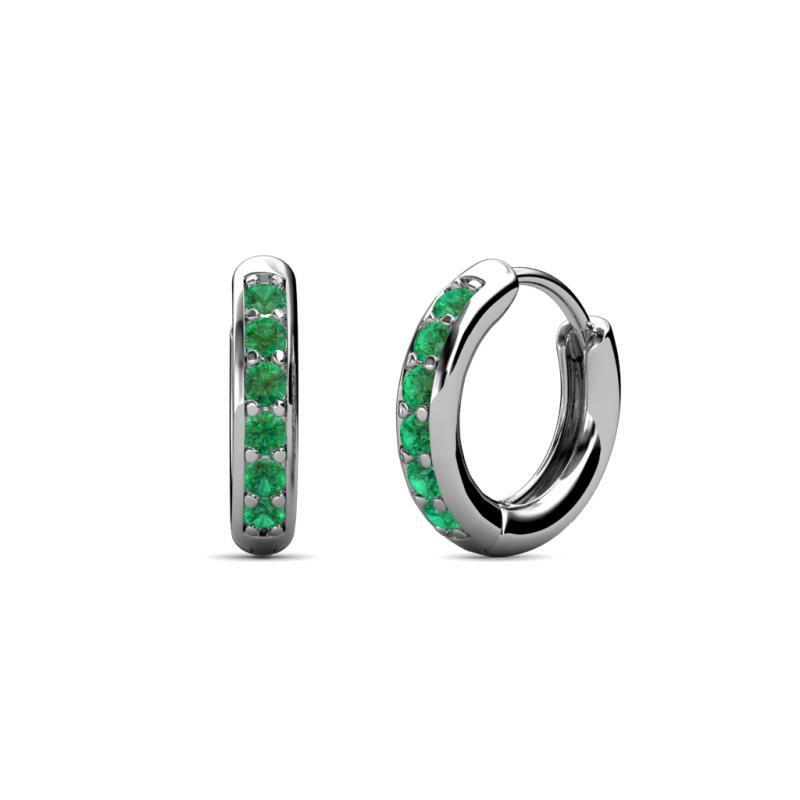 These are a Charming Classic Pair of 0.19 Carat tw Hoop Earrings in which each Huggie-style Hoop is lined with Glittering Petite Emerald giving a Magnificent and Graceful Look. 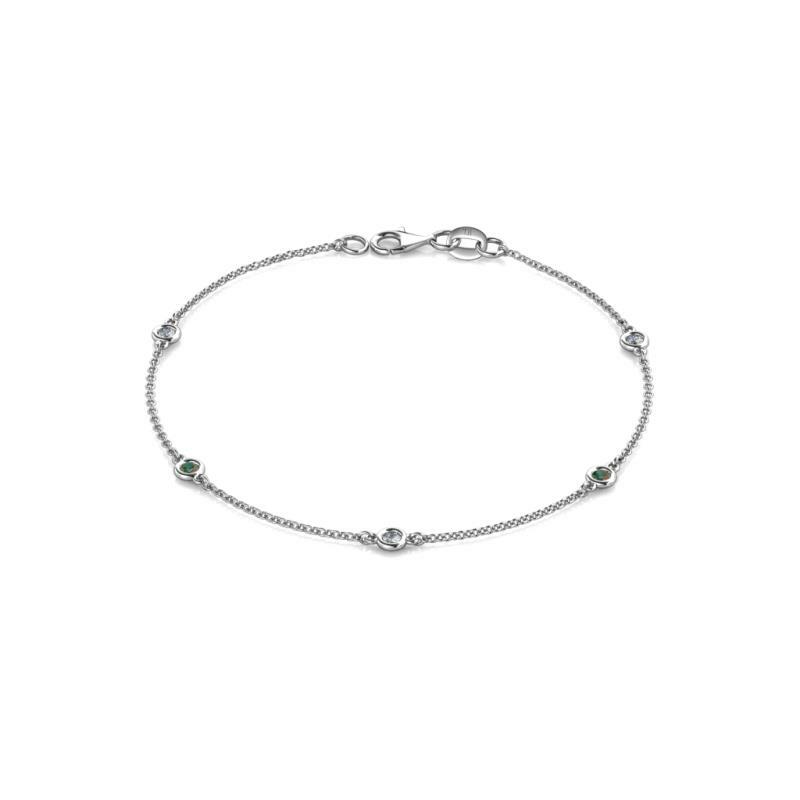 This Bracelet of 0.28 Carat tw instantly updates any look with highlighted Petite Diamond and Lab Created Alexandrite on the Cable Chain adding more glow while the lobster claw clasp secures it on your wrist. 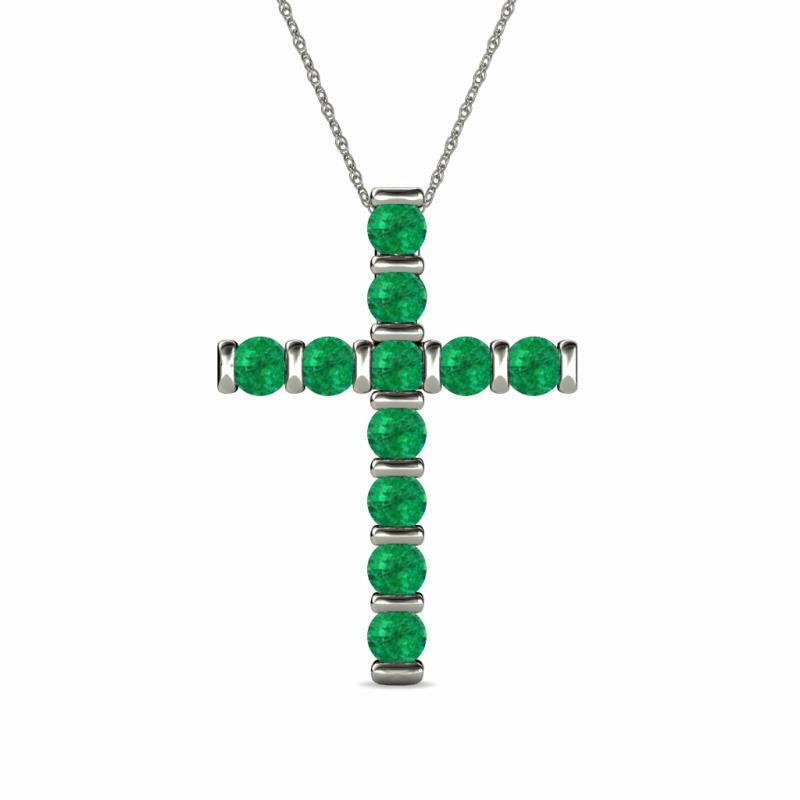 Faith meets style with this stylish Cross Pendant,a sparkling reflection of faith with Bar-Channel Set Emerald all through the Cross giving it an adorable look. 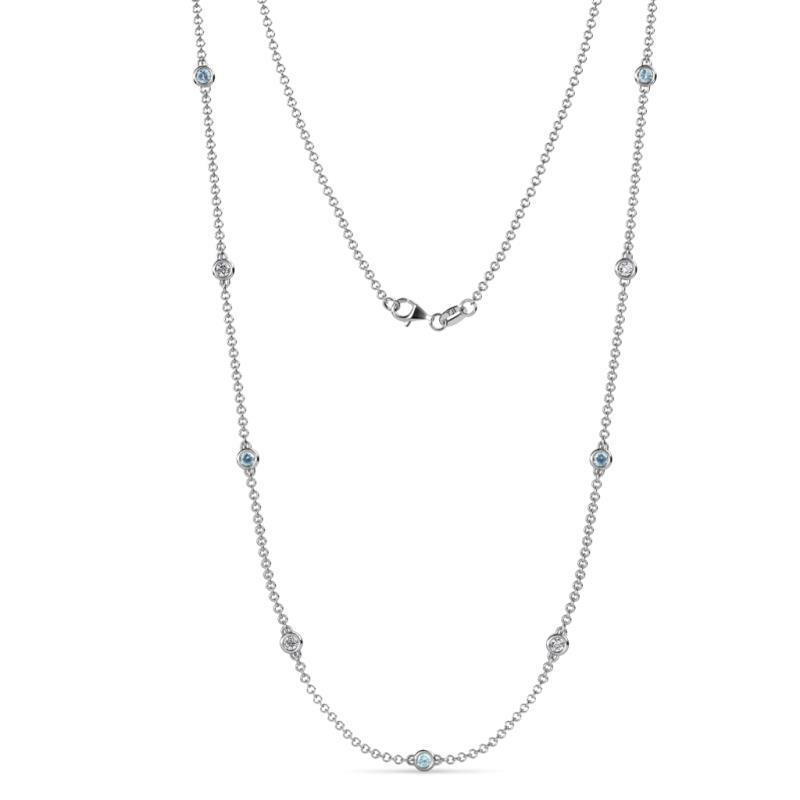 Adorn your Neckline with Expertly crafted Necklace Stationed with 4 Bezel set Diamond & 5 Aquamarine of 0.56 Carat tw that will never go out of style and is perfect for every day wear which is secured with a Lobster Claw Clasp. Adorn your Neckline with Expertly crafted Necklace Stationed with 4 Bezel set Diamond & 5 Peridot of 0.70 Carat tw that will never go out of style and is perfect for every day wear which is secured with a Lobster Claw Clasp. 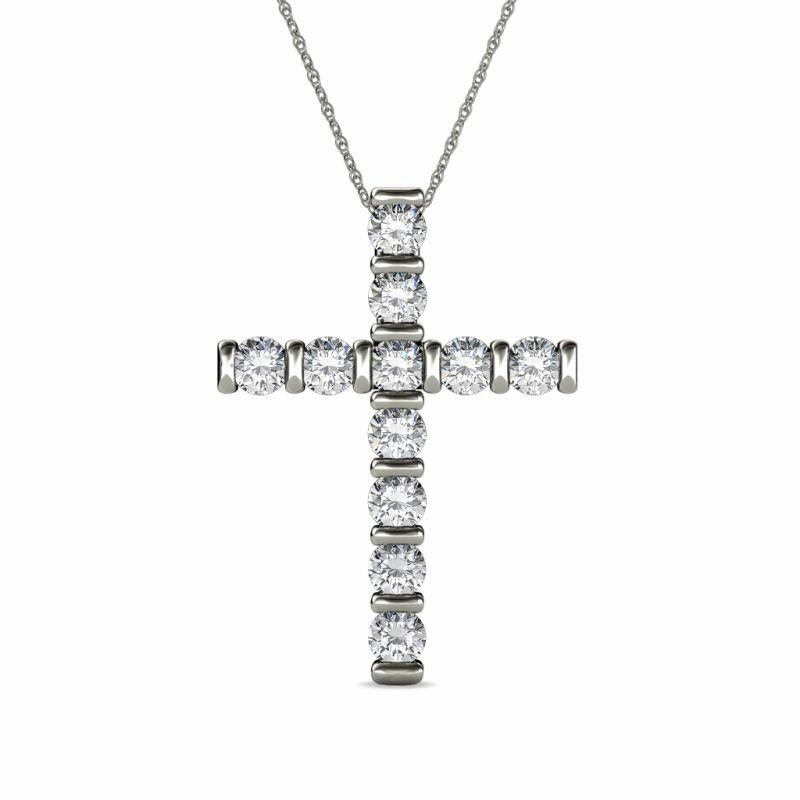 Faith meets style with this stylish Cross Pendant,a sparkling reflection of faith with Bar-Channel Set Diamond all through the Cross giving it an adorable look. 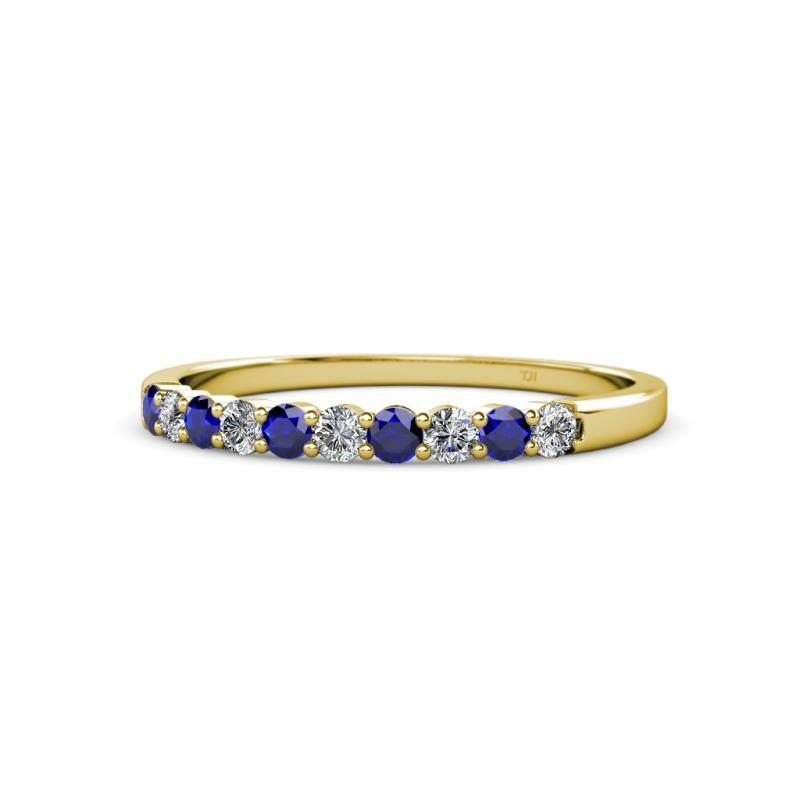 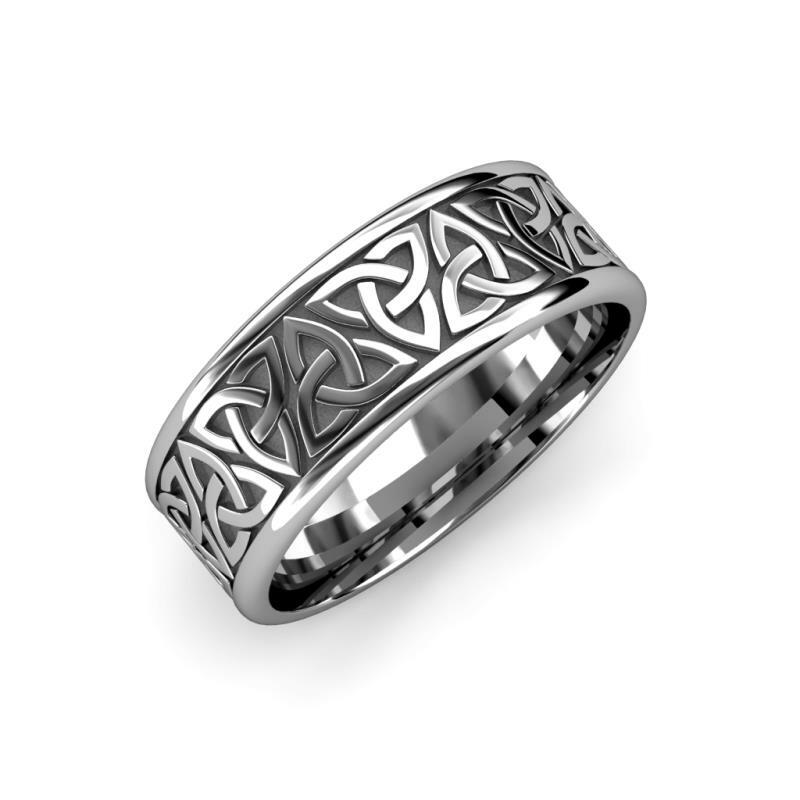 Turn your promise into commitment with this Gorgeous Wedding Band with 5 Blue Sapphire and 5 Diamond adding a touch of glitz to it and a beautiful way to impress your love. 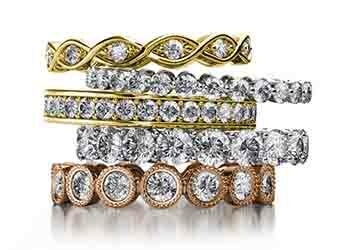 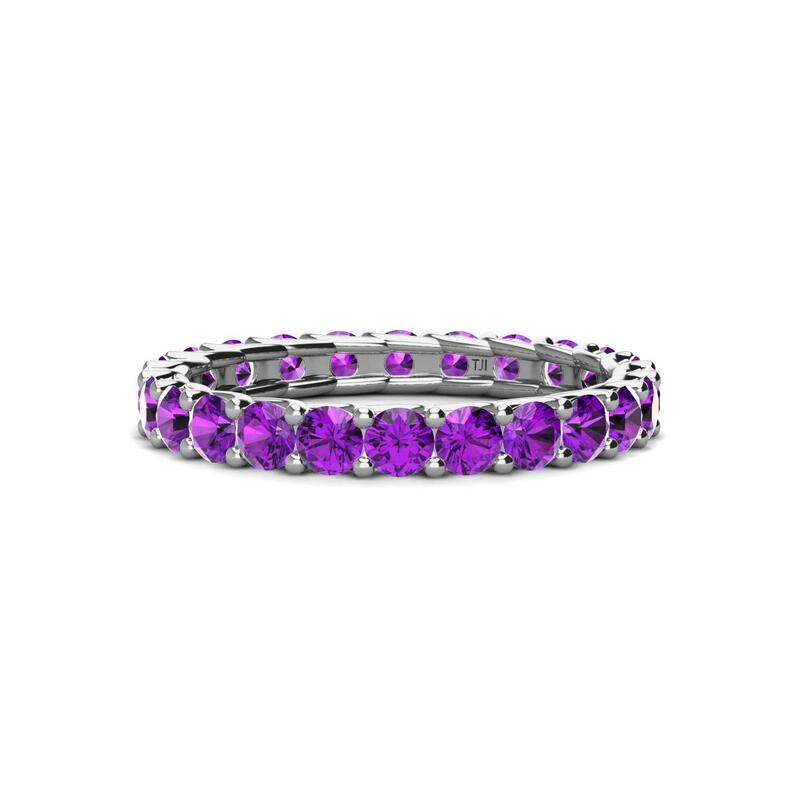 Show your unending love with infinite circle of Amethyst forming into a Gorgeous Eternity Band adding a touch of vintage to it and is sure to be a treasured possession. 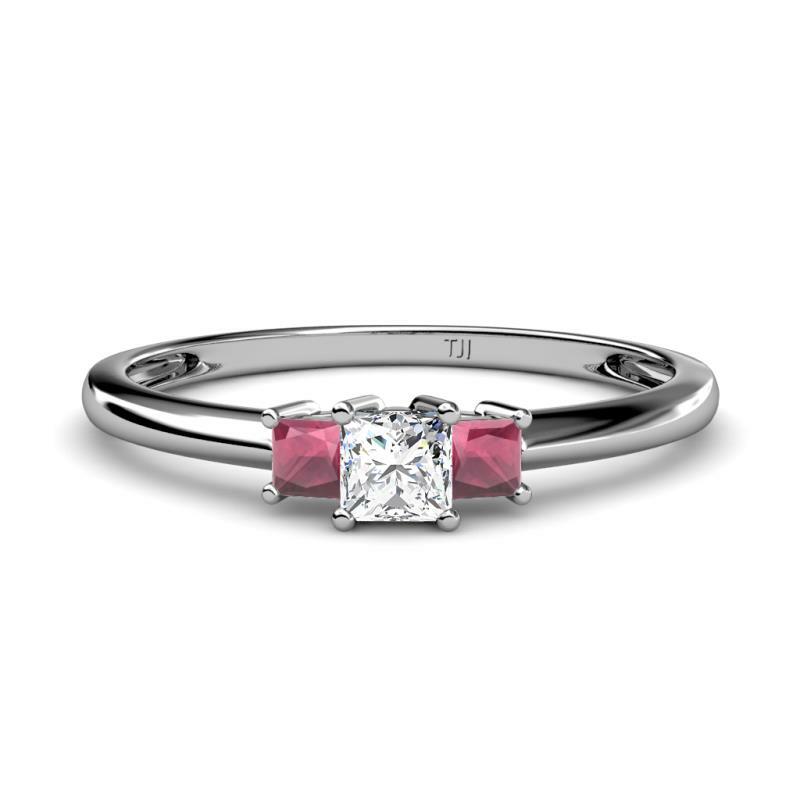 This is a Glamorous 0.43 ct tw Three Stone Engagement Ring which is beautifully crafted with Princess Cut Center Diamond & Two Side Rhodolite Garnet by using Prong Settings, which ensure sparkle from every angle. 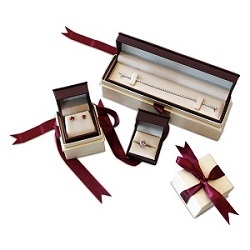 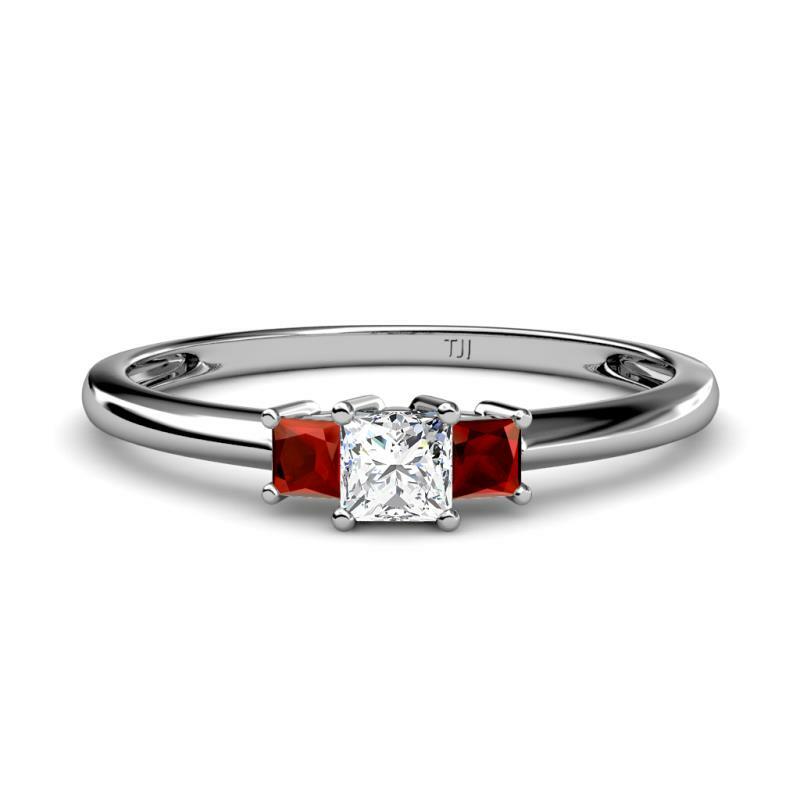 This is a Glamorous 0.43 ct tw Three Stone Engagement Ring which is beautifully crafted with Princess Cut Center Diamond & Two Side Red Garnet by using Prong Settings, which ensure sparkle from every angle. 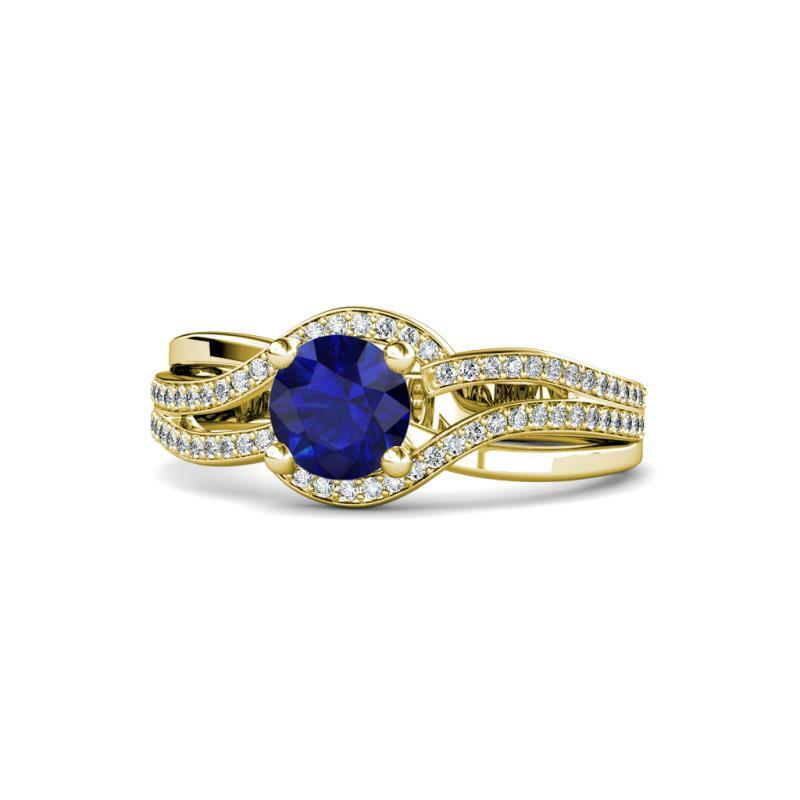 Express your deep love with this gorgeous Engagement Ring with Four Prong set Blue Sapphire wrapped by pave set Diamonds around the bypass halo continuing with alternating crossover shank making it timeless and elegant.